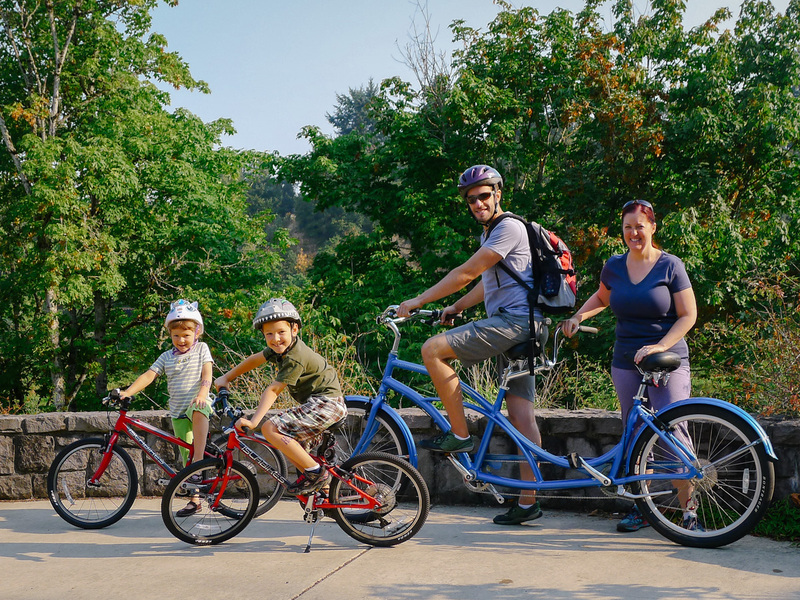 Our friends Mike and Rachel have a giant tandem cruiser, and they were kind enough to let us borrow it! Steering this thing is like driving an 18-wheeler, but it was a ton of fun. Thanks, guys!